Featuring its own green putting, Mataluka by Shirley Dunne is a luxurious villa located in the Quinta do Lago Golf Resort. It offers an outdoor pool and free WIFi. Mataluka includes 3 double bedrooms and 1 twin bedroom. Set in a complex featuring manicured gardens and an outdoor pool, the Villa Bonita is a 2-bedroom apartment located in Quinta do Lago, 17 minutes’ walking from Ancão Beach. Located in Quinta do Lago, this air-conditioned villa features a terrace and a garden with a seasonal outdoor pool. The unit is 22 km from Albufeira. Free WiFi is featured throughout the property. 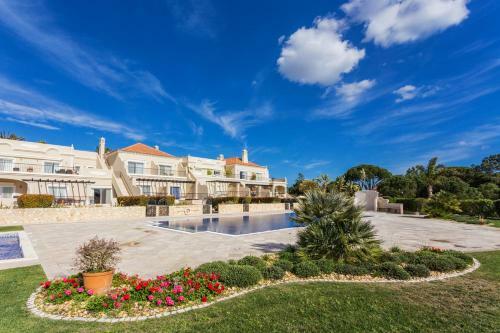 Located in Quinta do Lago in the Algarve Region, this villa is 20 km from Albufeira. The villa comes with air conditioning and free WiFi. There is a dining area and a kitchen. A TV is provided.